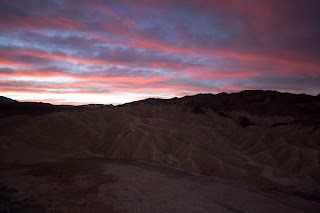 Zabriskie Point was our first sunrise. 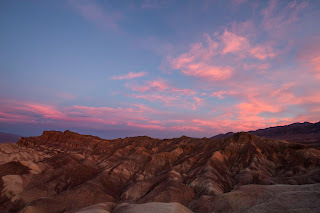 We had to drive 30 minutes to get there and we wanted to be there before civil twilight co that we could find a great place for a sunrise image. Do you realize what time we had to get out of bed? Fortunately, our bodies were on East Coast time. But that didn’t last too long because we went to bed at 9:00 local time, which was midnight at home! 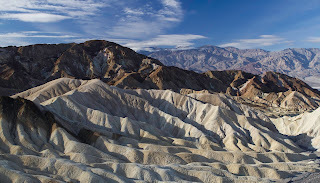 The day at Zabriskie Point proved interesting. More interesting for some than for others. 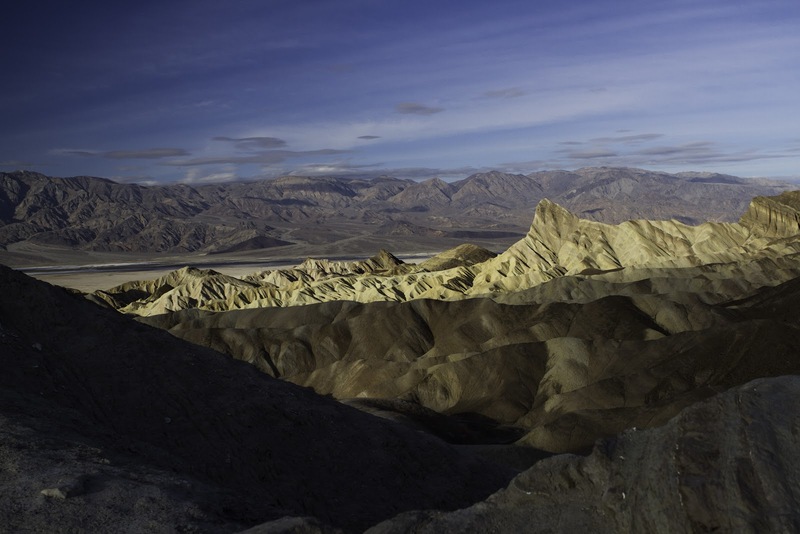 One of our fellow students wanted a picture of Zabriskie Point from the other side. I think he was trying to get the beautiful colors of the sunrise as a back drop for the Point. 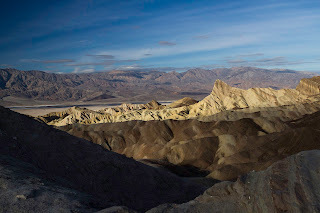 Anyway, he wanted an image that no one else would have, so he went down into the canyons/ravines below the observation point looking for that perfect shot. I also went down in the ravine and realized how out of shape I was, so I allowed almost a half hour to get back up out. And it was a struggle. I had to stop several times to catch my breath and let my pulse subside. We were all to meet back at the cars at 8:30. Fortunately I made it back in time. But the instructors were not in any hurry to leave. I figured that everyone was still shooting and getting good shots so the instructors were allowing them to continue. However when it got past 9:00, I realized that they were waiting for that fellow student to return out of the canyons. When 9:15 arrived, they decided that they had to do something. We yelled. We honked the car horns loud and long. Still nothing. So one instructor took the students who had returned back to our home base to continue instruction. The other instructor contacted the Park Rangers. The Rangers sent two trackers down to look to the guy. They were unable to find him. 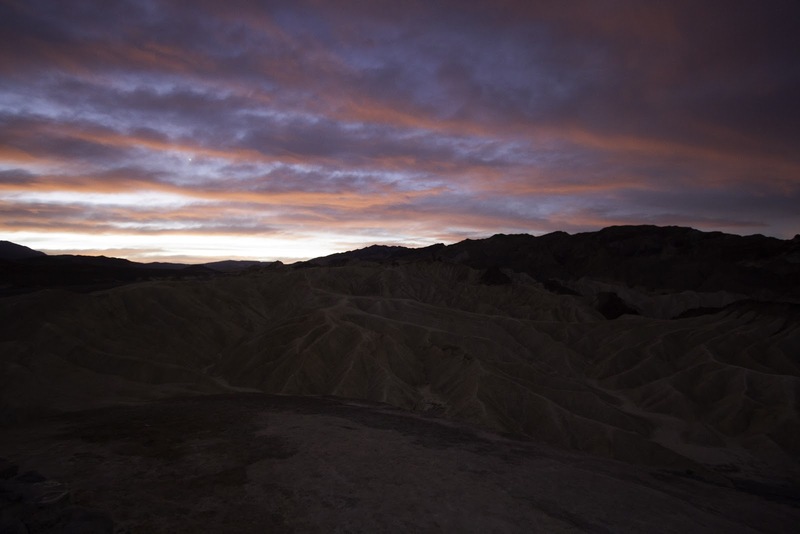 So the Rangers call the California Highway Patrol and arranged for a helicopter to come and search for the lost soul. 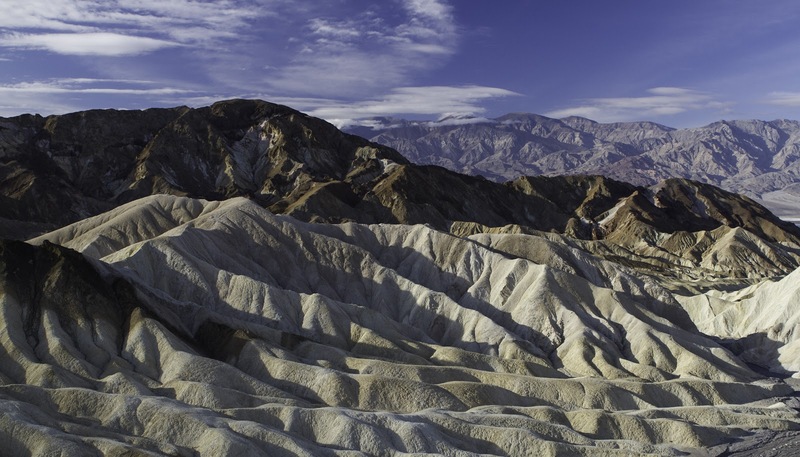 Finally, at approximately 2:00 they found him and airlifted him out of the canyons and back to Zabriskie Point. Fortunately, he suffered no injuries, except to his pride! Once we saw him and saw he was safe, the teasing began! Anyway, here are some pictures that I took that morning. I got a little bit of instruction in processing B&W images at this workshop. Expect to see some B&W images from this trip. 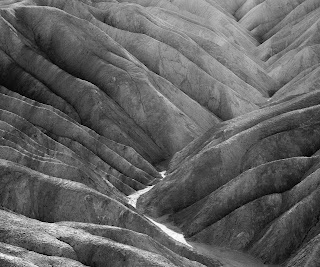 In fact all of my favorite images from this trip are in black and white!